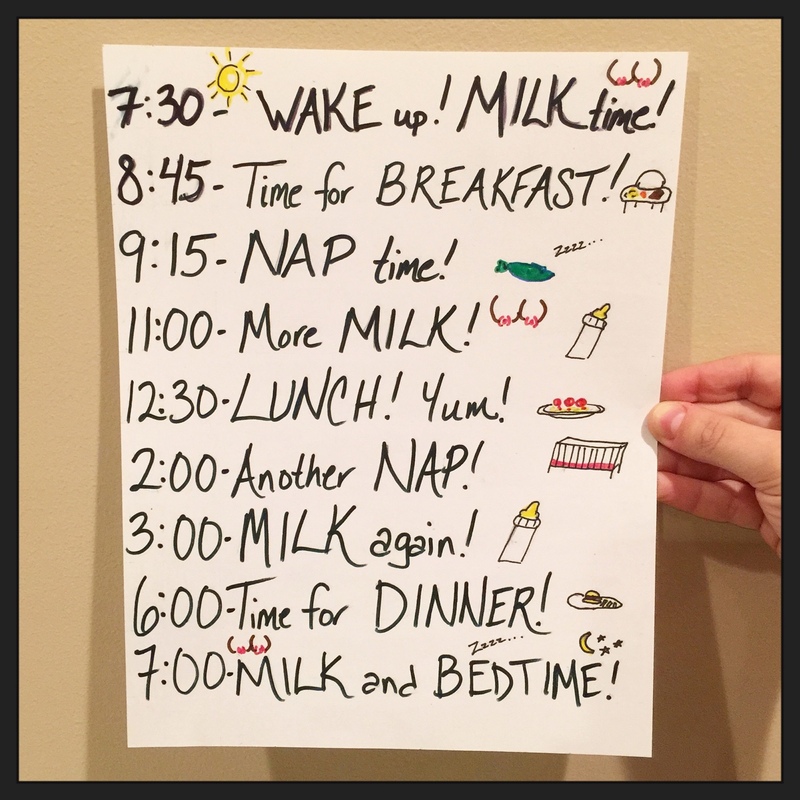 Because I clearly have too much time on my hands after baby bedtime, I drew up a quick-reference version of their current daily schedule to leave for babysitters. This is the schedule I described in my last Day In The Life post. This is the video I watched to learn how to tandem nurse when I decided to attempt to transition from exclusively pumping to exclusively direct breastfeeding. It helped a lot. The biggest takeaway is to prep your area and have a setup that will let you safely settle the babies while you get ready.